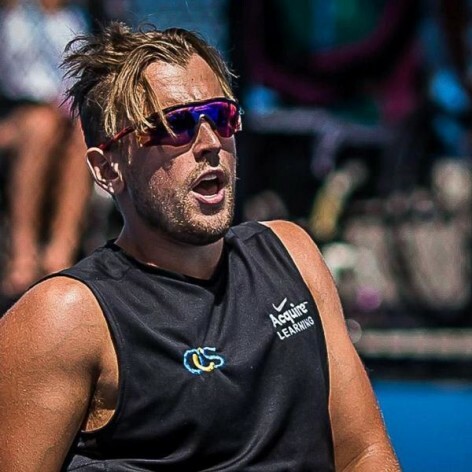 Dylan Alcott OAM is a Paralympic gold medalist, World Champion, Grand Slam champion and world record holder for both wheelchair basketball and wheelchair tennis. In 2008, Dylan won Gold at the 2008 Beijing Paralympic games at the age of 17, the youngest ever winner of a wheelchair basketball gold medal. In 2013, Dylan switched sports to wheelchair tennis, and in 2015 won his first grand slam title at the Australian Open. Dylan was born with a large tumor wrapped around his spinal cord, leaving him a paraplegic. He is a keen advocate for people with disabilities, and is an ambassador for the charities Starlight Foundation and Variety which help change the lives of kids with disabilities across the country. Dylan is also a music enthusiast, and is well known for his wheelchair crowdsurfing at music festivals.